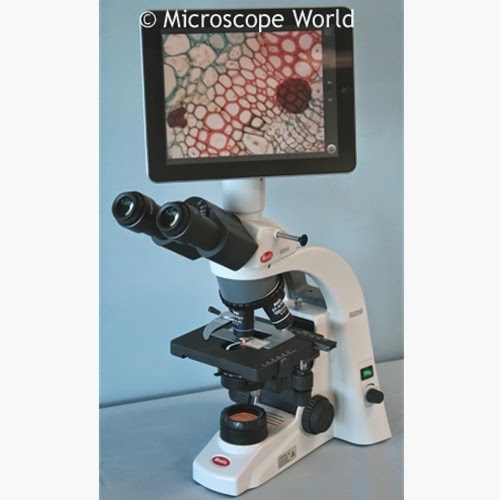 Microscope World offers a microscopy tablet LCD camera for viewing live images as well as capturing and saving microscopy images. The tablet camera also allows you to take measurements of samples including a number of different shapes, angles, and lines. The video below shows how to make measurements using the Android based tablet camera that includes advanced imaging software.